More than 150 people have already registered for our business conference - so sign up today if you haven't done so already. At this event, ' Northampton town centre – our next steps ', we will explore priorities, what the public think about the challenges facing Northampton town centre and what needs to be done. There will be a series of presentations from key town centre players, including the Chronicle & Echo editor, Federation of Small Businesses, Northampton Borough Council and The University of Northampton. We are also delighted to welcome broadcaster, John Griff, who will compere and facilitate the conference. The event is aimed at peo ple who work in or own businesses in the town centre, so you will be prioritised when it comes to booking, but with interest from town centre residents and other business owners too spaces are filling up fast. Find out more more and book your complimentary place by visiting our Eventbrite booking page HERE . Our first issue of this new magazine was launched in the summer and delivered to more than 30,000 Northampton homes and businesses. It featured lots of special offers and money off vouchers and was designed to inspire readers and give them yet more reasons to come into our town centre. We couldn’t feature every business in our last issue, so now is your chance to be featured in our Christmas issue, which will be printed in October. Please phone us, email us, or download and complete a participation form HERE. 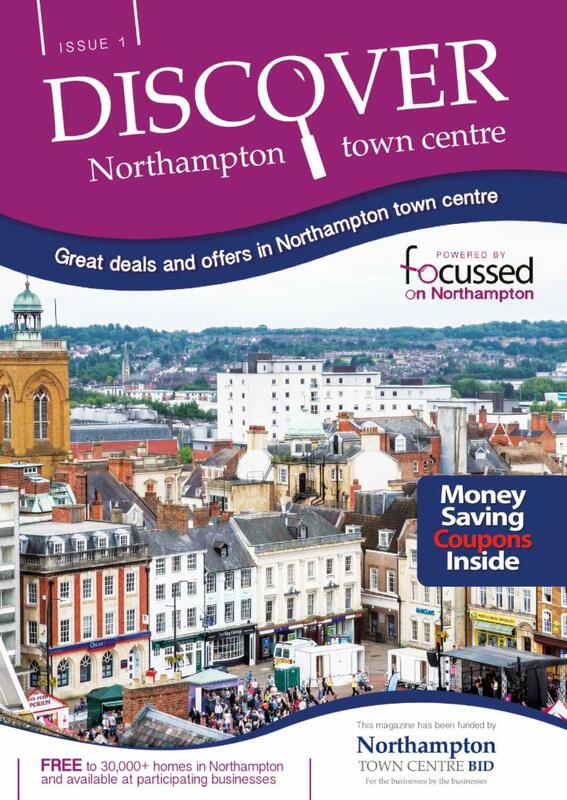 ﻿In case you want to see it again, view our first issue of Discover Northampton Town Centre HERE. 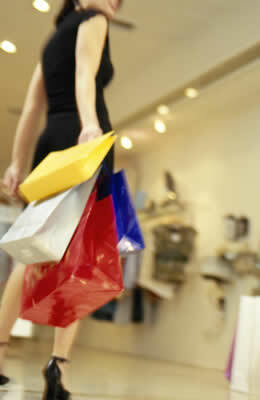 On Monday 12 th November the BID will be hosting its second Mystery Shopping Awards Night. Businesses that have entered this scheme will be invited along - to celebrate, meet and mingle with fellow town centre businesses. The event is set to run from 5.30pm to 8pm and we are looking for a venue which will accommodate around 80 guests. If you have a venue and you can help please email info@northamptonbid.co.uk. 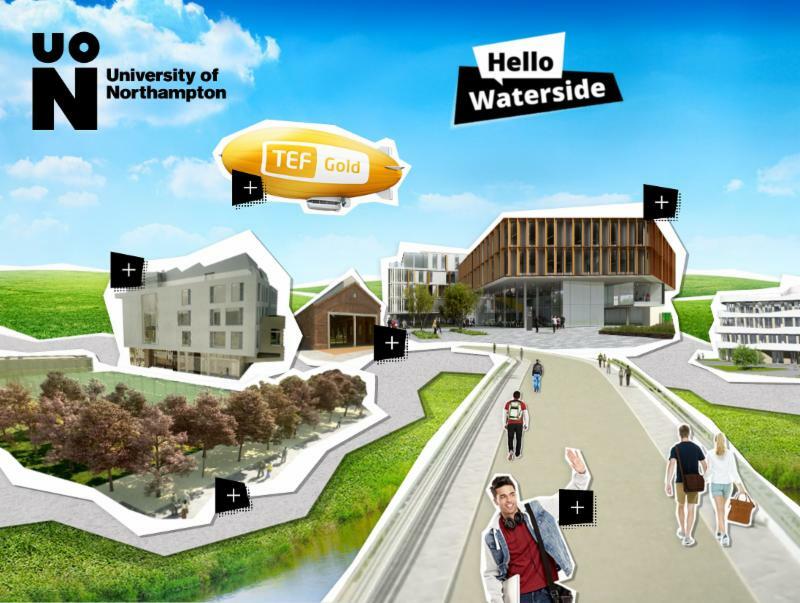 The University of Northampton’s new Waterside Campus will open its doors to students this month. Staff have been moving in since the 1 st August. The new first year students will arrive from Saturday, 22 nd September. These students have been given very specific instructions about arriving on Campus. The university expects minimal disruption but there maybe more traffic than usual. The remaining students will start the new academic year on the 2 nd October. You can find out more about the new campus HERE . Freshers Week: The University of Northampton Freshers Week will take place on the week commencing 23 rd September with a number of stalls on the Market Square and All Saints Piazza during the week. In August we appealed for positive business news stories to share with fellow town centre businesses. Johnson Underwood has been in touch to tell us about their latest recruitment and refreshed branding. The company has launched its new strapline ‘People – Business – Recruitment’ and Business Development Manager Faye Crockatt has joined the team. Share your news: Has your businesses received or been nominated for a business award? Perhaps you are about to mark an anniversary or are launching a new product/ service? Email the BID at info@northamptonbid.co.uk so we can mention in our e-bulletins and share via social media. 22nd September - Students start moving into the new University campus. You are receiving this email as an existing contact on the Northampton town centre BID update list under the GDPR legitimate interest criteria. If you wish, you can unsubscribe at any time by clicking the link at the bottom of this email.